Have you read Amulya Malladi’s “Serving Crazy with Curry”? 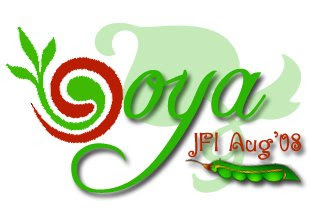 It is a story of protagonist, Devi, who is fired from her job at Silicon Valley and is suffering from a miscarriage. Tired with the way her life is leading Devi attempts to commit suicide and consequently is brought to her parents' home to recuperate and be looked after. The novel describes the tensions and frustrations, triumphs and tribulations within Veturi family. What happens next is nothing less of a Bollywood movie. After moving to her parents home Devi refuses to talk with anyone and channels all her emotions into cooking elaborate meals. She sprinkles more chilli when she is angry, cook sour food when she is sad and she churns sweets when she is happy. 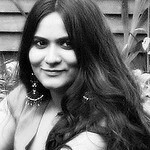 She uses unusual ingredients, as in non-traditionally Indian ones and yet succeeds in cooking extraordinary dishes that pleasantly surprises her family. What happens in the end is something you need to read yourself. Although I am not much impressed with the novel, I enjoyed reading Devi’s bold character when she takes in charge of kitchen and starts to appreciate her mother who otherwise was portrayed by her as nosy, intrusive and Desi inspite of spending half of her life in other part of the globe. It is Devi’s cooking which prompts her family to initiate honest conversation with one another making them closer than ever before. I would recommend this novel to anyone who is interested in reading something different and the bonus is every chapter ends with Devi’s culinary creations. Few days back I was in a mood to create my own curry instead of following some recipe book or something which we had already tasted. The result was this delicious Lauki-Kala Channa Curry. Instead of adding cubed Bottle Gourds to curry base and cooking it, I sliced them to half-moon discs and pan fried them in batches till they turned golden brown. Then I simmered them in tangy and spicy tomato gravy till they were cooked to perfection. Don’t be shocked to see unusual use of ingredients like Curry leaves used in almost all the South Indian recipes and Kasuri Methi which adds extra flavour for any North Indian dish. And there are also tamarind, jaggery and garam masala. I used Kala Channa to much loved Kabuli Channa as I like its rustic and earthy flavour and it beautifully complimented the Bottle Gourd. But what I loved the most is the way in which all these ingredients blend together harmoniously and deliver extraordinary taste which tickled our taste buds. There is nothing like feeling of ecstasy when you create something from scratch and it is much appreciated and loved by your loved ones. Pure bliss! This recipe is on its way to Lore's Original Recipe event. Trim the ends of Dudhi/Lauki/bottle gourd and peel it with a vegetable peeler. Slit it length-wise in middle so that you are left with two long pieces. With a help of a spoon, scoop out the seeds and the surrounding spongy mass carefully so that you are left with two dudhi ‘boats’. I left the seeds as they were very tender. Cut them into 1 cm slices as shown in the picture. 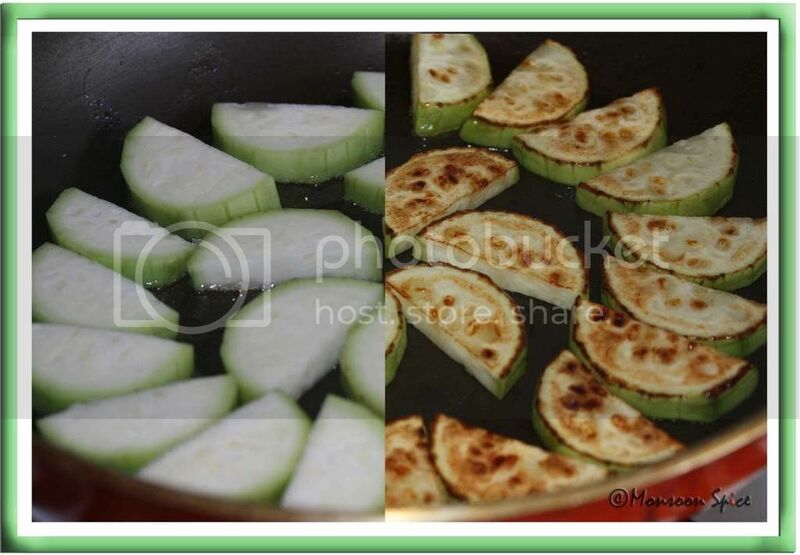 Heat a tbsp of oil in a flat pan and arrange bottle gourd slices so that they fir in single layer. Cook them on both the sides till they turn golden brown in colour and place them in a kitchen towel till required. Do it in batches so that you have evenly fried bottle gourd pieces. This step is purely optional. Skip this step if you wish. Heat ½ tbsp of oil in a pan and add mustard seeds to it. When it starts to pop and splutter, add hing, cumin and curry leaves. Sauté it on medium flame till cumin starts to brown, about 30 seconds. Mix in finely chopped onion and sauté it on medium flame till it turns golden brown, about 2 mins. Now add turmeric powder, red chilli powder, kasuri methi and garam masala and sauté it on low flame for about 30 seconds. Pour in pureed tomatoes and mix well. Add jaggery and tamarind and mix well. Cook this at medium heat for about 2-3 minutes, stirring occasionally. Add cooked kala channa, fried dudhi and mashed potatoes and mix well. Mix in salt to taste and add about cup of water. Simmer and cook the curry, stirring occasionally, for about 15-20 mins till dudhi is cooked properly and flavours blend well. 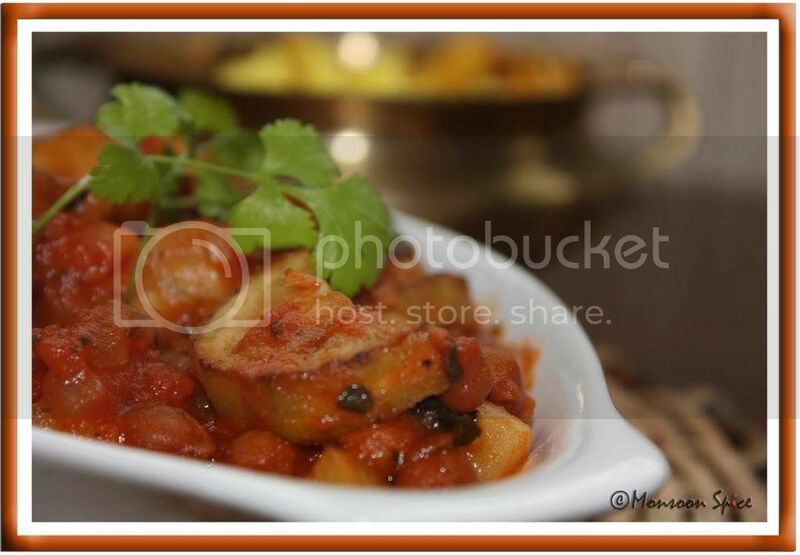 Serve hot, garnished with chopped coriander leaves if desired, with Chapatti or Rice and enjoy. Tastes better the next day. P.S: I will be away for next 5 days on short break to make most of the last remaining bits of British Summer and hence will not be able to respond to your e-mails and queries. I will get back to you as soon as we come back from holidays. Pan frying them is such a nice twist Sia - love the combination. wow, this looks fabulous. I recently made green chana... and I am salivating over those delicious parathas. They look heavenly! Thats looks great! I too love kala channa than the white one. We make a tamarind gravy with thick coconut milk with he kala channa. 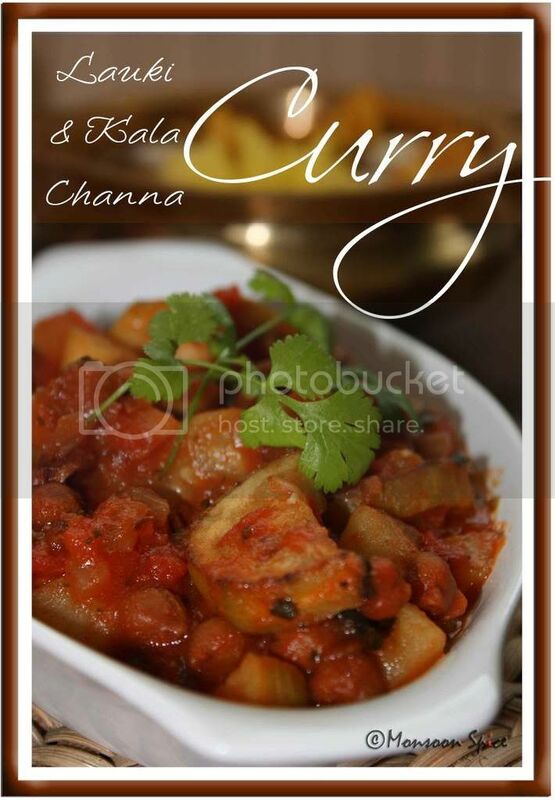 This lauki curry would go well with soft warm rotis! Perfect dinner. This looks so good. Must have tasted equally good. So different recipe. YUM! That novel sounds interesting! Thats a good preview, Sia! Your curry looks inviting! Very creative, Sia..
Sia, what a taste explosion. 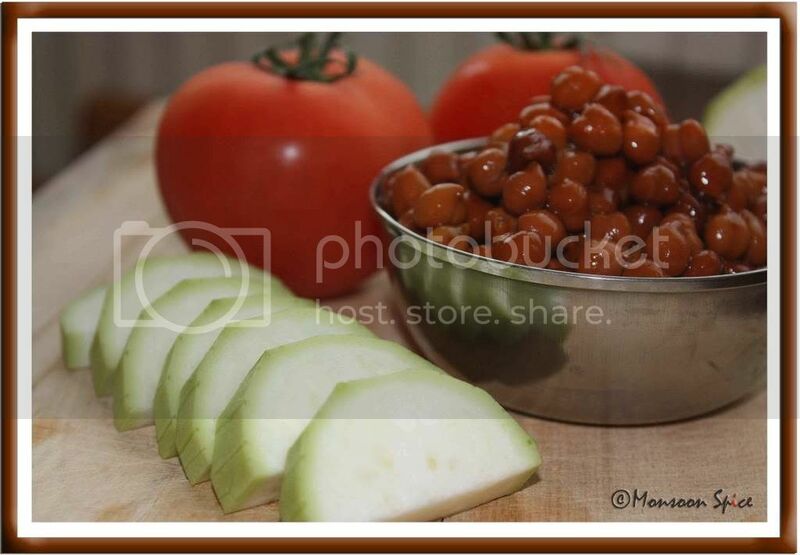 Lauki, chana, tomatoes are all delicious ingredients so I bet the dish tasted amazing! The book sounds hilarious - and I can really relate to it. Have a fab break hon! this looks truly delicious, dear sia. First time I am seeing the lauki-chana combination.Looks tasty. Pan frying lauki made it crispy :) and tamarind is wonderful touch to the curry! Totally delicious combo and flavor Sia! I love to have kala channa in any combination..Pairing it with lauki sounds interesting..
i haven't read the book, but it does sound interesting and not to typical story. Like your unique combination and hope you have a good vacation. Hey Sia...WOW, Your own lauki recipe! Nice variety of spices you have used. Lovely click of the lauki getting pan fried. Sups!! gorgeous looking curry, I never used to like bottlegourd but now we love it. Enjoy your break! Have a fun break sups, see you when you get back! Pictures look great! You must be having a love affair with your camera:) The combination sounds good, and I will try this definitely as both the ingredients are my favourites! P.S. Love the before-after photo! Wow what an interesting story of ur novel but you kept us in Suspense.I love the curry and lovely colour. Pls try this curry with adzuki bean and u and ur family will love it and let me know. I came across your blog yesterday. Great recipes! I'm always looking for more recipes using Lauki. I tried your lauki with black chana (with little changes) for dinner tonight. It tasted great with rotis.